On July 13, 2003, at the age of 13, my life changed forever. On a Sunday afternoon my dad and I decided to go out for our evening run; I ran and he biked behind me. A half-mile from our house, we came up a steep hill and I pulled out in-front of my dad. I got to the top of the hill and turned right to head home; I was out of his sight. That is when I saw my neighbor walking down the road. I ran off the road to get around him when he picked me up and ran me across the street into the woods. He pulled out a knife; I fought for it but was unsuccessful. He continued to stab me until I was able to kick him off me and run out onto the street where my dad had just gotten to the top of the hill. My dad jumped off his bike and ran to me. He took off his shirt and told me to hold it to my neck as hard as I could and not to let go. I looked him in the eyes and said," Dad, I think I am going to die, I love you." My dad looked me straight in the eyes and said, "Casey, no one is dying today." Ever since that day, I have purposely lived my life with the strength and the determination that my dad showed me in that moment of chaos and fear. I have also been very vocal about my attack and how important it is to always fight for your life, no matter what. My desire to empower people drove me to study psychology and pre-med at the University of Michigan. When I didn't get into medical school, my dad encouraged me to start my own business. He is the one who first said, "Why don't you open a spinning studio with those really cool bikes you found in Ann Arbor?" I was like, "Really?" I had always been passionate about health and fitness but I knew little about running a business. However, I knew if he had this confidence in me, then I should too...and that is how Power Ryde came to be. Over the years I've realized there are many different ways to empower people. I get up on a bike every day to inspire my students to be stronger mentally, physically, and emotionally. I want every ryder to leave Power Ryde mentally stronger and more confident than when they entered. I truly believe that physical activity makes us better people in so many ways. After my attack, running was how I lifted myself back up. On the outside I looked fine (minus several stab wounds), but on the inside I was an emotional mess; fearful of everything and everyone. But, I got back to running as soon as I could after the attack and it saved me. Having something physical to do to release all of my emotions helped me heal on the inside. The best feeling in the world was after a long run where I thought about nothing or no one, and just did what I did best, run. That is what I want ryders to experience during class at Power Ryde; a release. Whatever is going on in their lives, I want Power Ryde to take their minds off of it. 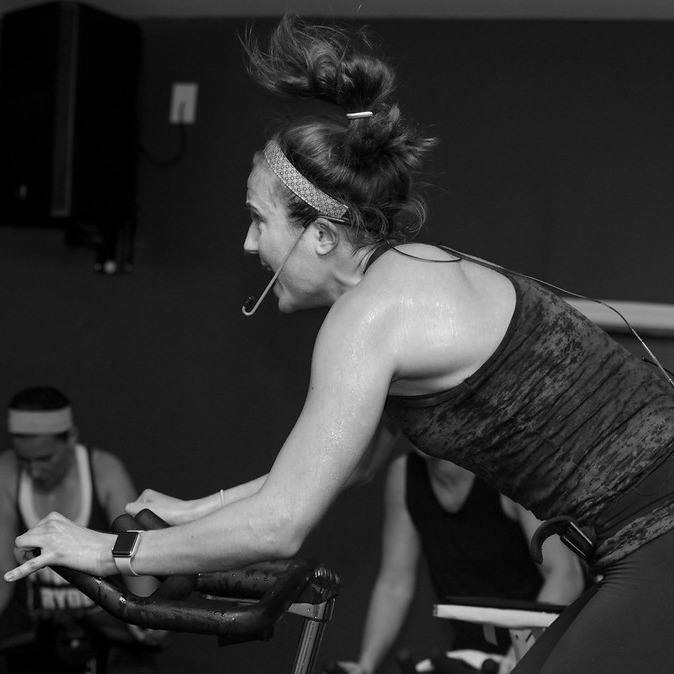 I want Power Ryde to be a place where they can come have fun, spin their legs, and get lost in the music. I want every physical challenge on the bike to strengthen them mentally, so they can leave more confident in themselves. And finally, I want every ryder to WANT to come back and ryde because of how good they felt when they last left!